When you're waking up regularly in the night, you don't want to be switching on the main bedroom light. We got touch lamps from Argos and they're so good, it has 3 light settings and with a touch of the hand you can have light that's not too harsh or bright. The touch feature is great when you're too tired to fumble for a light switch. It's also doesn't wake up your partner as the light is nice and dim. We learnt early on you need your baby changing essentials within reach. 3am is not the time to get out of bed looking for nappies or a change of baby clothes! We have a handful of things right our by bedside - nappies, wipes, clothes, feeding pillow as well as a nappy bin. I didn't think much of the bin at first but it's really handy when you have no energy to go to the kitchen to dispose nappies in the night. It's important to look after yourself as well. I have a bottle of water to keep me hydrated as well as some snacks, dried apricots are good! An eye mask is handy when you want to get back to sleep and it's too bright in the room. Sharing the load of feeds at night with your partner can help you both get some rest. At around 3/4 weeks I was cluster feeding baby and it was so tiring I was exhausted! Hang feed baby a bottle at night so I could get more sleep and it really helped. So if your partner can feed baby too definitely get that into your night time routine, so you can get some rest! A comfortable mattress and pillows is key to a good night sleep, whether you're new parents or not. We invested in Tempur pillows and they have made such a difference, I had a really achy neck with our old lump pillows. We've also had our mattress for over 5 years, it was getting saggy, we've flipped it so many times and it had dipped in the middle and was getting a bit filthy. We were definitely thinking of getting a new mattress as it just wasn't comfortable anymore. It was perfect timing when Leesa mattress got to touch, I've never been so excited to go to sleep! Leesa mattresses are made in the UK and sold exclusively online so they offer a luxury premium product without you paying the high price tag! Sleep is so personal to each and every one of us and their mattresses are made to be responsive to our bodies and sleeping patterns. It's made with a 5cm top layer of Avena foam, 5cm memory foam and 15cm support foam. These layers combined create a comfortable and supportive mattress, which keeps you cool with just the right amount of support and bounce. The first night we slept on the mattress it was during the heatwave and it felt nice and cool. My first impressions was it was soft yet firm and once settled down it felt like resting your body on a cloud and really fitted the contour of my body. My body felt weightless! 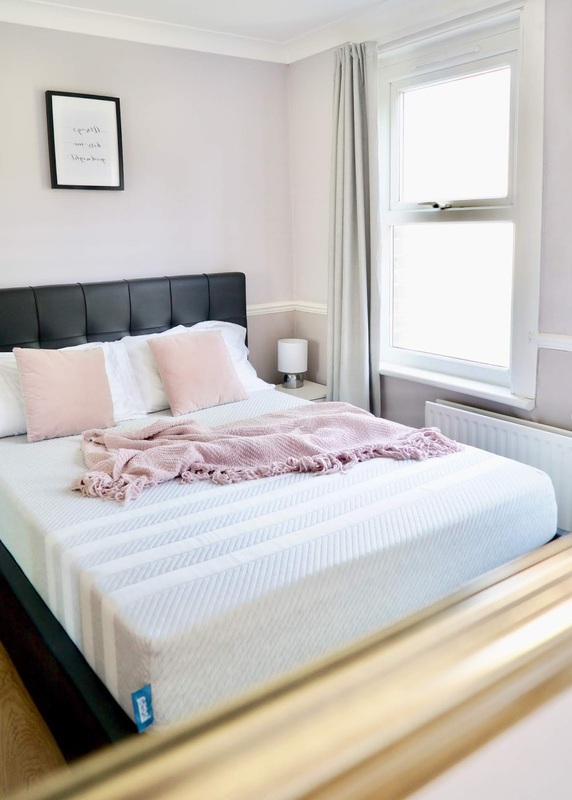 I used to live in a lot of rented accommodation and each mattress was as bad as the next - they were the old fashion spring mattress, which were squeaky, lumpy and dug in all the wrong places. So upgrading to a mattress like this feels like a luxury! It's not too hard or firm like you get in some hotels and it's soft without being squishy. I've definitely noticed I've been sleeping better without the need to keep tossing and turning. I wish we had this mattress when I was pregnant! Deciding on a new mattress is a big deal without trying it out first, with Leesa you can test it for 100 nights risk free, how amazing is that? So if you change your mind, it's not a hassle to return. You'll get a full refund and Leesa will donate the used mattress to charity. Another thing that attracted me to this brand was how Leesa are a very eco-friendly company and B Corp certified, which means they make a positive impact on people and the planet. I was really happy to read about that and I want to support brands that give back to the environment. They donate one mattresses to charity for every ten they sell, as well as plant a tree for each mattress sold to offset their carbon footprint. I know it's easy to just buy things online these days without a second thought but knowing a company has a social conscience and is sustainable really adds value to the brand. We've been trialing the mattress for the last month and Hang and I have no complaints. I didn't know what to expect but it makes sleeping in this heatwave bearable and it supports my back as I suffer from shoulder aches and pains from feeding baby. When I wake up in the night for feeds, I feel calm and relax to drift back to sleep. I know it's only a mattress but it really has changed our night time routine and it's nice to relax on during the day too! We spend so much time sleeping, we should make sure it's the most comfortable part of our day. 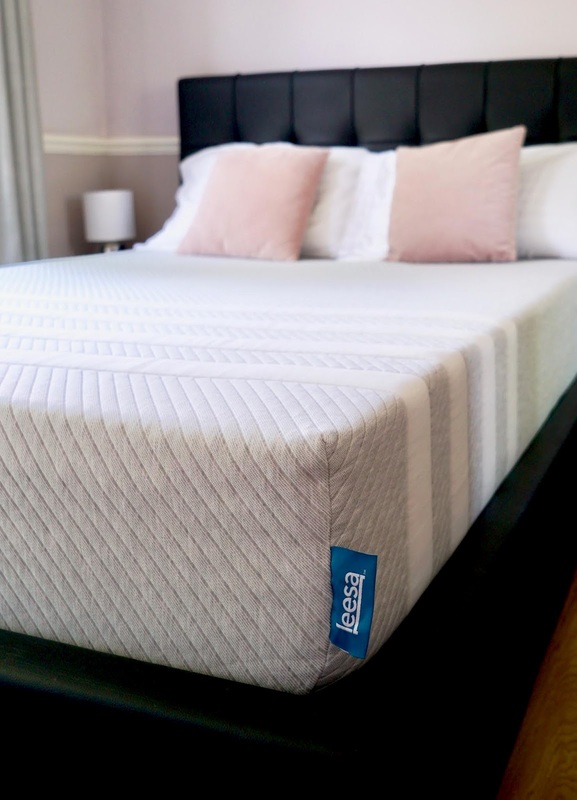 I know investing in a mattress is a big decision and although I had not heard of Leesa before, I am genuinely happy to recommend this product and would have paid for it myself as first and fore most it's a comfortable and supportive mattress. I've got a discount code that's such a massive saving, so you can get a double mattress for £550! 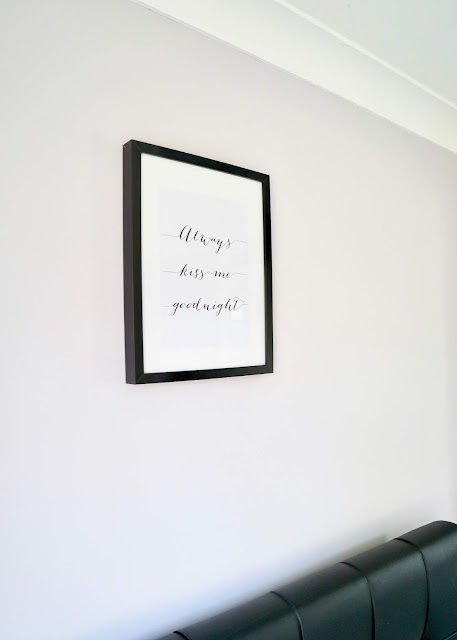 Use code HANHABELLE FOR £100 off Leesa mattress. 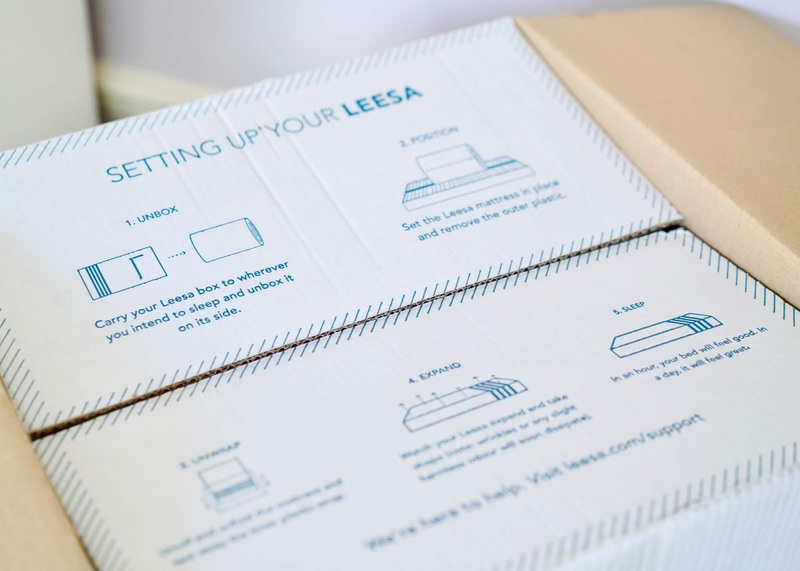 *This post was created in collaboration with Leesa, who provided a Leesa Mattress for review. What are your tips for a good night sleep?